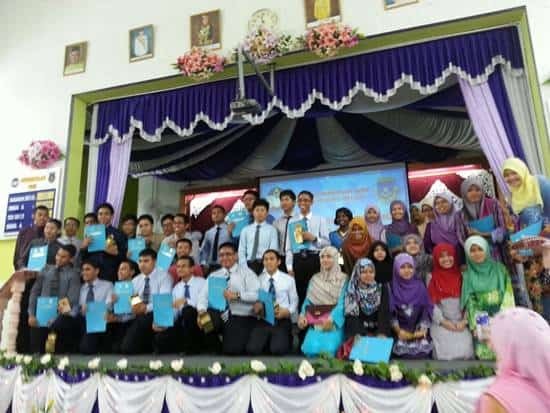 Have you heard about Muzaffar Syah Secondary School Science before? How about MOZAC, as it is better known by that name? It is a well known school not just in Melaka, but also in Malaysia. It been the talk of the town lately due to one of its former student is now the new Chief Minister of Melaka, Datuk Wira Idris Harun. The school is well known for its academic achievement. It is one of the best school in Melaka. The school performance in SPM has been great and its is one of the top school in Malaysia. The school is also grouped as one of the 88 Smart Schools in Malaysia. MOZAC is also known in other fields especially its achievement in sports activities, innovator competitions and many more competitions. The niche of MOZAC is Research and Development as the school has been known for pioneering in R&D. There’s many innovation has been made among their student including LED lamp in the school, thumb drive called i-Mozac and many more product involving the potential green technology. Muzaffar Syah Science Secondary School is the only science school and one of two fully residential schools in Melaka, Malaysia. It was established in 1973 and it’s the first boarding school in Melaka. The school is built at 121.9 meters above sea level and in a 12.9 hectares land. The buildings were completed in 1976 and officially opened by the Yang di-Pertua Negeri Melaka in 1983 as Melaka Science Secondary School. In the early days, there were only 120 for Form 1 and 160 Form 4 students, who started schooling on 5 January 1973. The school changed its name to Muzaffar Syah Science Secondary School on the October of 1983. It is named after the fourth Sultan’s of Melaka Sultanete, Muzaffar Syah of Melaka. MOZAC acronym has been found on 1999 when the school was acknowledged as the best performance school for the 1998 SPM Result. The Education Minister at that time, Dato’ Seri Mohamad Najib Razak, flew by a chopper and landed on the school field to announce the news. The school was promoted to change its name to Muzaffar College which become an idea for the acronym MOZAC but it is objected by Melaka State Education as it is the only Science School in Melaka. Even though the school name still remain, the acronym widely used. MOZAC is located in Ayer Keroh Melaka. It is about 10 km from Ayer Keroh toll. 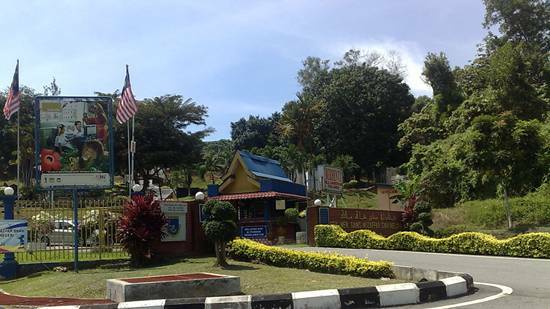 The school is situated on the top of a hill area located in Ayer Keroh and the easiest landmark nearest the school is ‘Mamee ‘factory which is situated around 100 meters from the school. That are some basic information about one of the ‘cool’ school in Melaka. Mozac is also the school of our current Melaka’s Chief Minister! Salam. Good article. However, the name MOZAC was there way before 1998. Even before the result of SPM 1998 was announced, the school had always been known as MOZAC. Yes, it was a dream to be renamed as Muzaffar College, in the likes of other schools like TKC, and MCKK. In fact, one of the famous cheer song of those days was already aptly named “MOZAC Dynamite”, and it was famous in 1995, and was surely an inherited song, i.e. the name MOZAC was in existence for students way back in time (although might not be approved by teachers and powers that be). Source? I was in Form 1 at Mozac in 1995. I’m sorry if the wrong information..
Firstly good job for the write up. I am not sure which/who/when it was first used, but the name “Mozac” existed long before 1999. Even back in the late 80s.